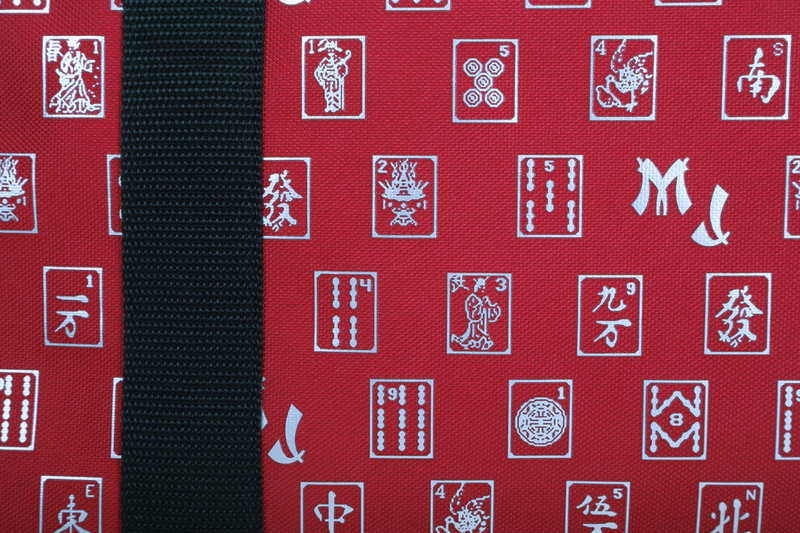 Case Has a Zippered Closure and Measures Approximately 21" X 10"
Red and Silver Mah Jongg Set Soft Carrying Case with shoulder straps, 2 matching Velcro sleeve wraps for racks and tile trays plus a vinyl tile storage case. 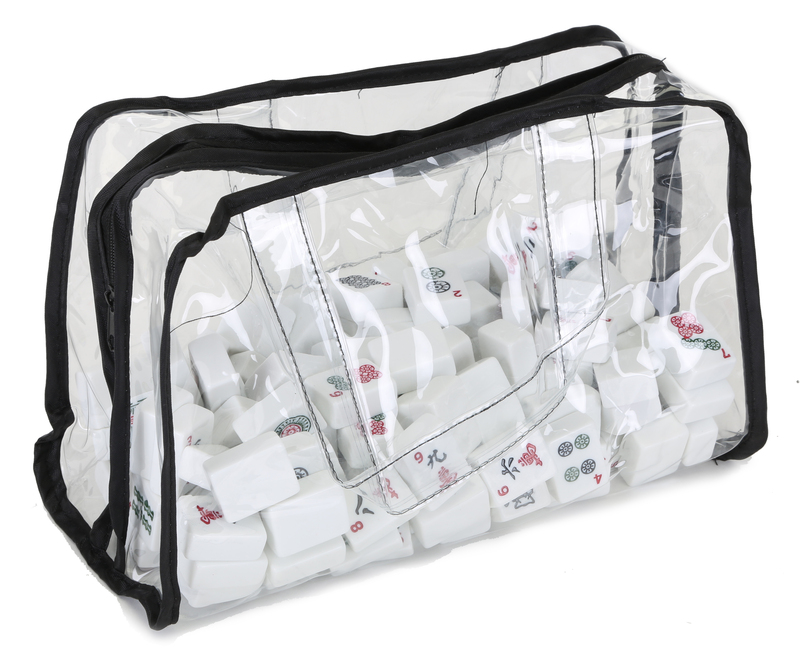 Case has a zippered closure and measures approximately 21" X 10" with large gusset for carrying full Mah Jongg set with racks. Contents: 1 Mah Jongg Soft Carry Case, 2 Matching Wrap Sleeves, 1 wrap for your tile trays and 1 Wrap for your racks. Bonus includes 1 Vinyl Tile Storage Case. DOES NOT INCLUDE MAH JONG SET OR RACKS.